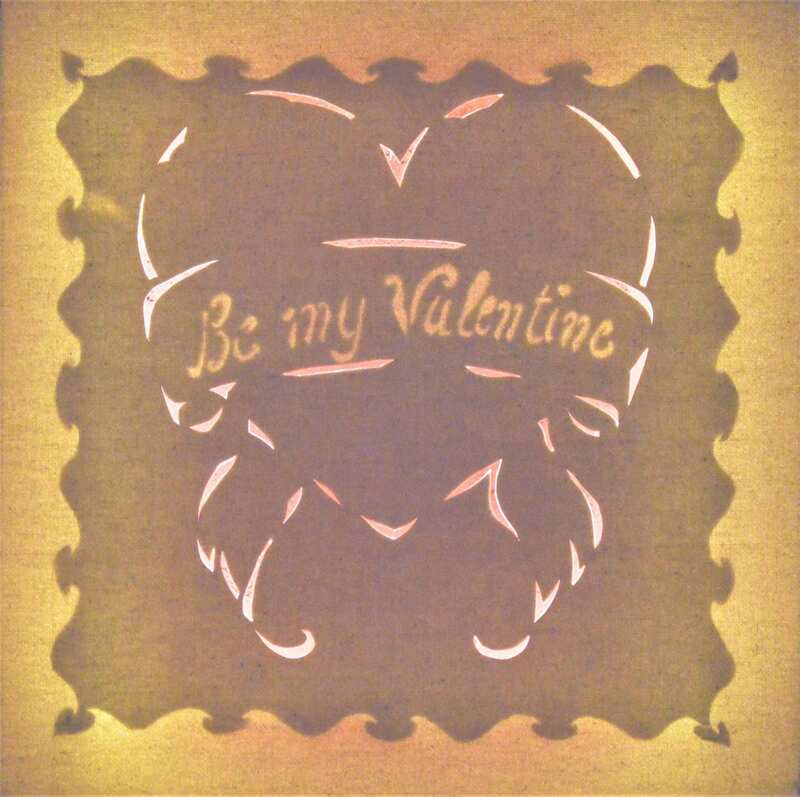 'Be my Valentine' LED light board. 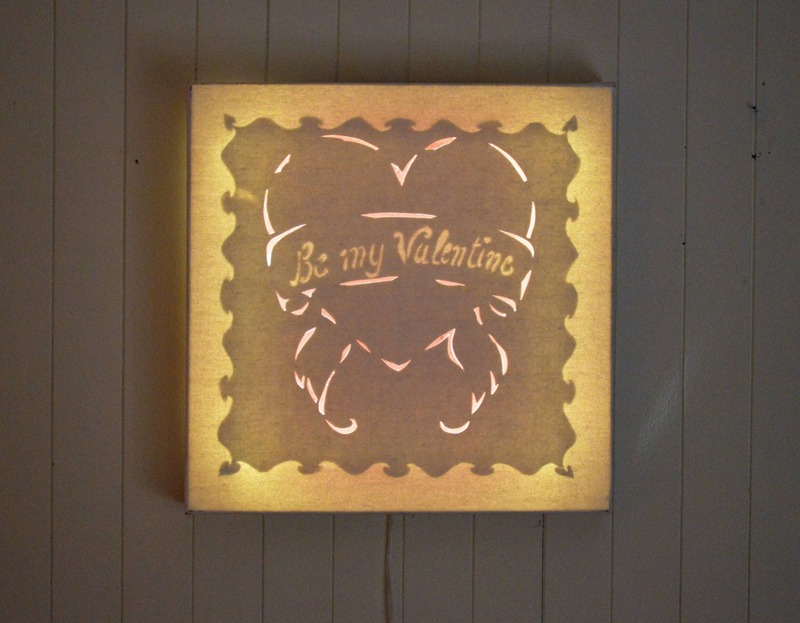 The words 'Be my Valentine' are discovered on the canvas when the LED garland is lit, like a secret message. LED bulbs are powered by batteries (supplied, 3x AA). Possibility of ordering another secret and personalized message. 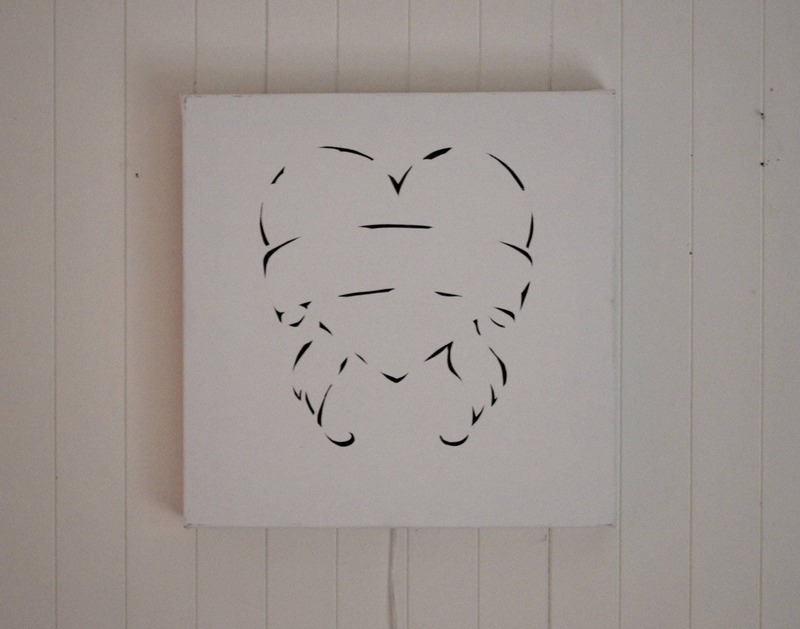 The dimensions of the canvas on frame is 30cm x 30cm. Original gift for Valentine's Day!